Sorting for books menu, crafting menu, journal menu and inventory (partial). - New option which allows you to group finished quests by location (works only if alphabetical sorting for finished quests is enabled). Do not forget to install an updated xml menu file! - Bestiary, Books and Tutorial menus now also have all tabs closed by default. - Implemented crafting and alchemy menu tabs tweak (kudos to Wasteland Ghost) so from now all tabs including the first one are closed by default. - Alchemy: new recipes are on top of the list. 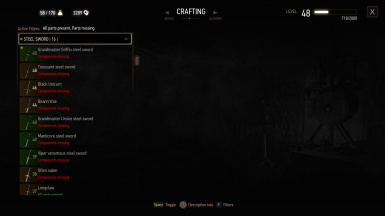 - Alchemy / Crafting menus: pinned recipe is on top of the list. - Bestiary: new records are on top of the list. 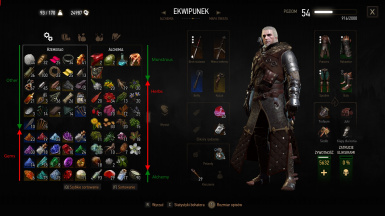 - Forced inventory quicksorting has been tied to "Alphabetical inventory sorting" option (i.e. now you can disable it and sort all items manually if you want). - New config option to force alphabetical sorting for completed and failed quest lists apart from the chosen journal sorting algorithm. - Added ingame configuration menu. - Implemented alphabetical sorting for all inventory item subgroups. - Potions sorting fix for gamepad users (by wghost81). Implements sorting for some ingame menus (supports all W3 language versions). Configurable via ingame settings menu. Pinned recipe is on top of the list. New recipes are on top of the list. All tabs are closed by default. New entries are on top of the list. Supports "New recipe markers" feature from FriendlyHUD and moves new schematics on top of the list. Three sorting options: alphabetical (original), by level (ascending), by level (descending). Components, Junk and Tools groups are always sorted alphabetically. New books are on top of the list. Alphabetical inventory sorting for item subgroups (toggleable). Restored pre-patch behaviour - new items are always at the beginning of the grid and sorting does not clear new * markers. If you do not need this, toggle Auto clean all "new item" flags option ON. Sorts "Potions" group so all non-mutagen potions now always placed at the beginning of the grid (kudos to wghost81 for original sorting script). Four sorting options: disabled (original), alphabetical, by level (ascending), by level (descending). Tracked quest is on top of the list. Forced alphabetical sorting for completed quest lists (toggleable, includes finished and failed quests). Additional toggleable option to group completed quests by location (works only if the previous option enabled). All installation steps are mandatory! 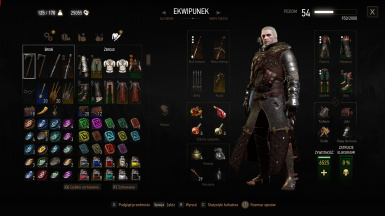 Download and extract main Sort Everything archive into "...\The Witcher 3\Mods\" folder (if you do not have Mods folder - create it manually). You can install it with NMM as well. 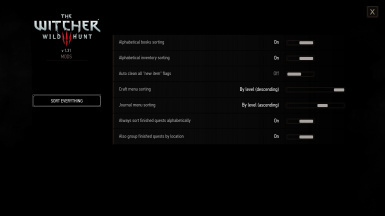 Download Menu and user settings archive and extract bin folder into the main Witcher 3 directory. Open add_into_user.settings.txt file, copy all its contents and paste it at the beginning of the Documents\The Witcher 3\user.settings file. Use Script Merger to check and merge possible conflicts with other mods. Corrected Sorting: partially compatible, Corrected Sorting has a higher priority so it will override all inventory features of this mod. 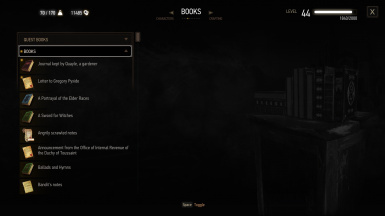 Improved Book Journal Sorting: already included into this mod (kudos to KasparsBITELV). 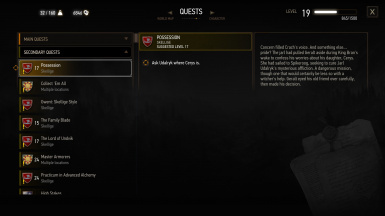 Journal Quests Sorting: has been merged into this mod. Additional sorting options for inventory, credits to MegaMaciej. 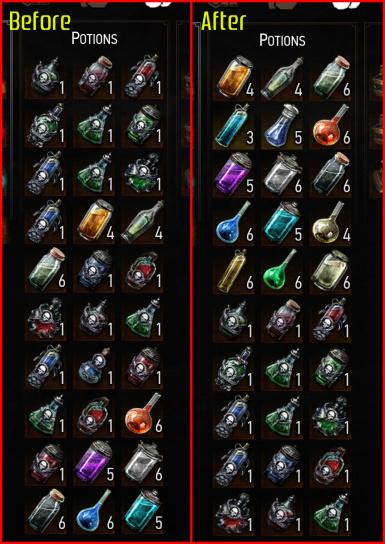 Crafting ingredients - grouped by: Monstrous, Metal, Lether and Others, Gems. 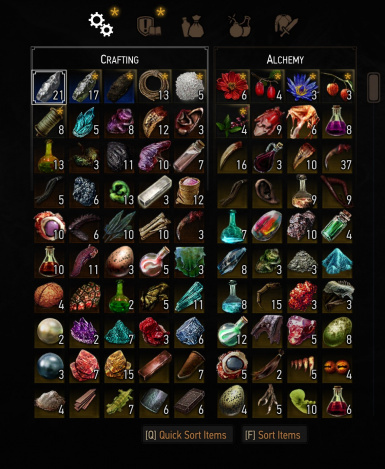 Alchemy ingredients - grouped by: Monstrous, Herbs, Alchemy and others, Powders (Aether etc. ), Mutagens. To install unpack the archive into your game folder, overwrite existing files. More Quick Slots and Quick Inventory for additional quick slots and awesome Quick Inventory menu.